Many young children of both sexes enjoy playing with cars. It may be predominantly little boys, but girls can have just as much fun with them as boys do and parents can enjoy playing right along. 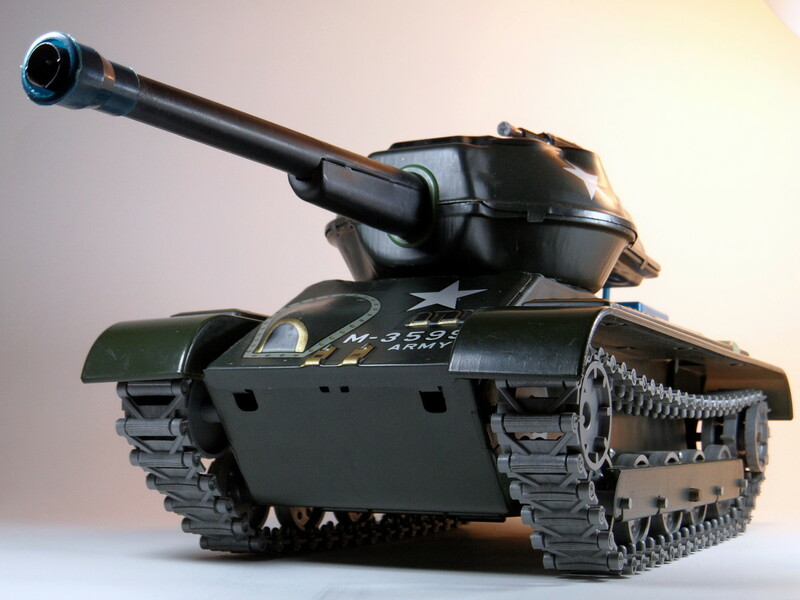 Toy cars may be one of the first "big kid" toys that kids see and enjoy. They have a fascination with them, perhaps because they can identify with them. After all, they ride in one all the time and "driving" a car is one way to be just like Mom or Dad. Because so many children start playing with toy cars and continue to do so for years, their play goes through definite stages, and it can be interesting and helpful to take a look at these stages. In the beginning children will not truly understand just what to do with a toy car; they haven't yet learned how to really play yet, particularly with a representation of a real life object. The child in the photo below began his car career by wrecking cars and by crashing them together whenever he could find someone to "drive" the other car. Mostly it was simply playing with Mom or Dad and spending time with them. The car was secondary to playing with someone else. Play often turned into a giggle fest as a result. Running the car over his leg, up his back or over his head was a cause for laughter and rolling around on the floor with Grandpa. 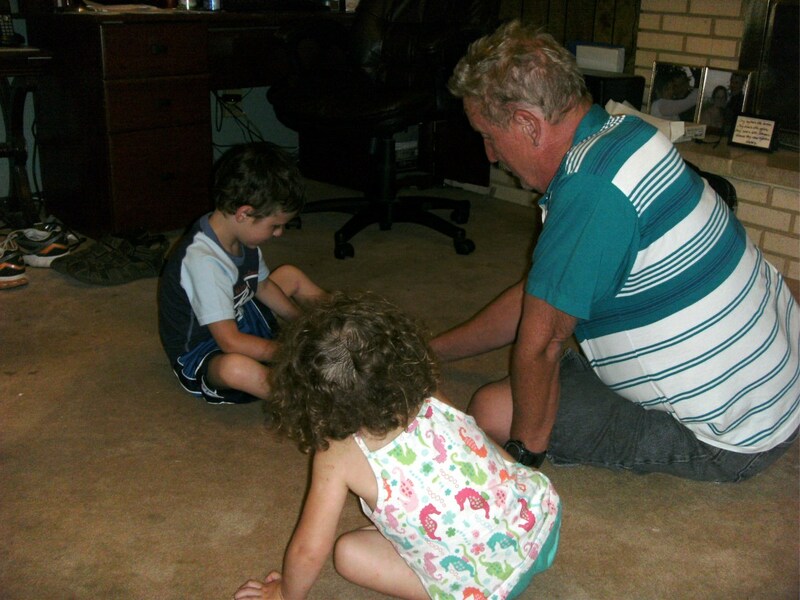 Yes, he's playing with a toy car, but mostly he's playing with Dad or Grandma or somebody that will pay attention to him, laugh with him, and play with him. As time goes on, the child may be introduced to more lifelike play, more what he or she sees in everyday life. The plastic scene in the photo below became a staple in role playing with cars as it offered something to relate to. 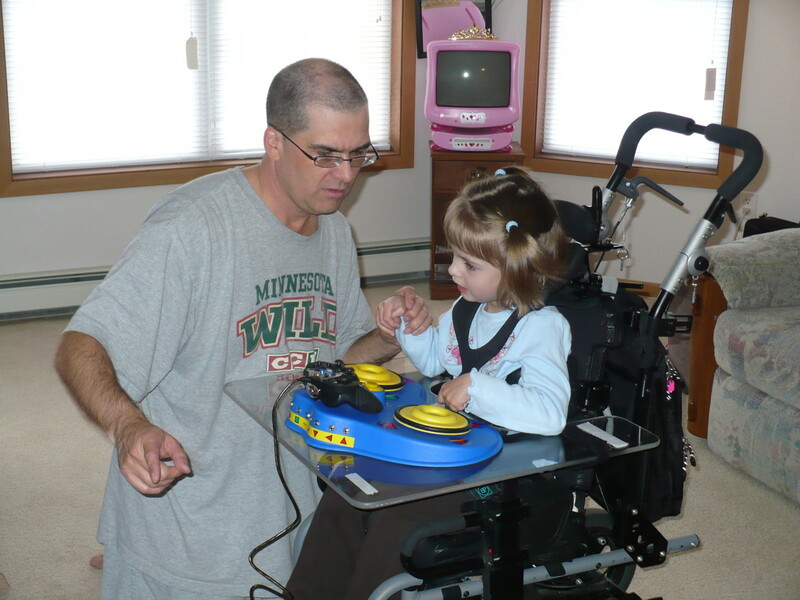 At first the child may not understand what can be imagined here, but just a little help will quickly turn that around and it can develop into hours of play time. Enough, in fact, that the plastic sheet in the photos had to be replaced with a tougher one printed on carpet. The roads are obvious enough and provide some correlation to life, but it needn't end there. A visit to the "mall" (a large building on the scene) with the comment that there was candy to buy in the mall produced an immediate response that he was going to the mall, too, but would buy "ice keem". This had happened in the past, and the activity was very quickly transferred to the play. A car wash, complete with vocalized sound effects, was next, followed by going to the river to swim. A gas station connected with past experience easily as did rocks to climb over. All of these are associated with life experiences the child knows and/or enjoys and it is only natural that it be transferred to play time. It also brings imagination into play; buildings are nothing like what the child may have seen in the past, but imagination fills in the blanks to provide a realistic activity. Maybe your car doesn't climb over rocks, but the child does and therefore his or her car can, too. As adults we can learn from this, too. The child transfers what they have learned in life to other activities; they see the world through their own experiences. So do adults, but sometimes forget that such association is not always appropriate. Don't forget the rock climbing car - as long as it's just play it's fine, but when such association moves into life it can cause problems. 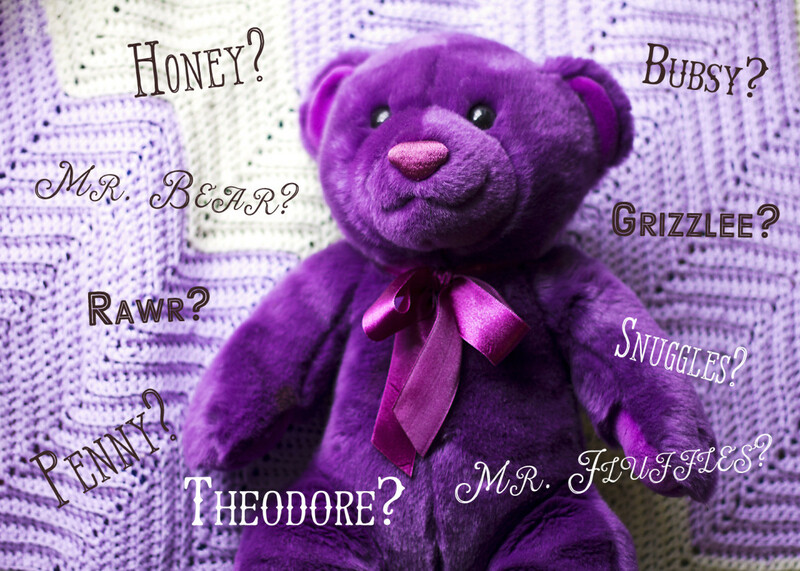 These types of accessories can help your child a great deal in developing their imagination. It can be difficult for a very small child to associate a blank piece of carpet with a store or playground, but once that imagination is stimulated it can go far beyond what a simple picture can provide. The next step in the child's development may be building, and what could be better than building a road to play on with the cars? The safari track featured here has provided hours of entertainment over 2 years (a lifetime in the life of a young child) and is still going strong. In the beginning assembling all the pieces was simply beyond a 3 year old child, but Mom or Dad could always be depended on for that task. The set came with 2 battery operated cars that will run around the track indefinitely, along with a ferocious alligator that would bong whenever the car passed by. The only real problem was keeping enough batteries on hand! Eventually the fun changed from simply watching the cars to building the track. With a little guidance and experience the child became adept at putting the pieces together and building the track according to his vision of what it should be. Hand coordination is developed, along with imagination as the track can be built in many different forms. Once built, it's back to playing with cars (although the original battery cars are long gone), running them around the track by hand. Little sister wants to play, but at 2 years old she doesn't understand you can't stand on the bridge, kick the roadway or sit in the way. 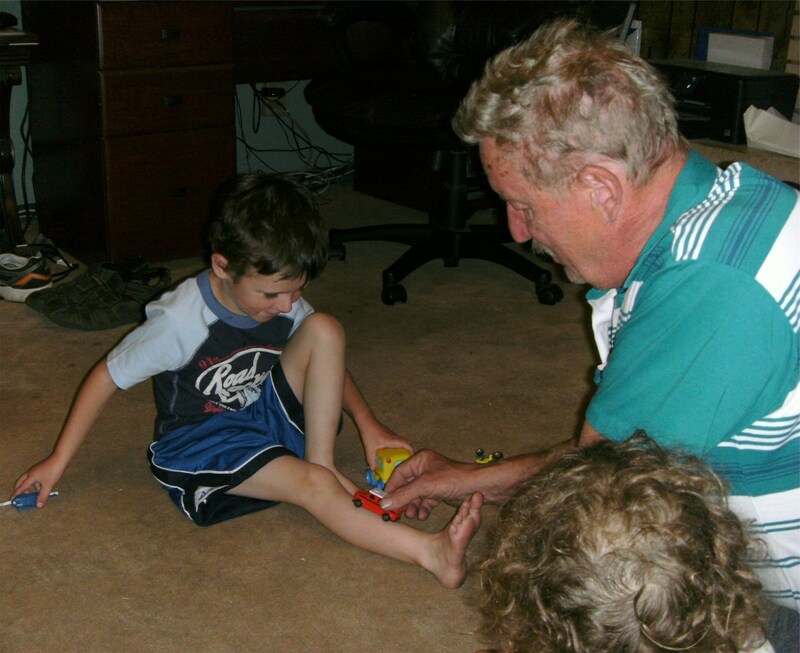 Brother gets pretty irritated, but when Grandpa plays with them both things smooth out and everybody has fun. Too advanced for a 2 year old, these kind of "assembly required" toys are ideal for children a little older. The latest play included a police car that would stop other cars for going too fast. It seems that Mom got a ticket yesterday for speeding - it made quite an impression on the young man building the track and had to be included in the play today so Grandpa got a ticket too. It was a perfect example of how easily a life experience became part of playing with cars. 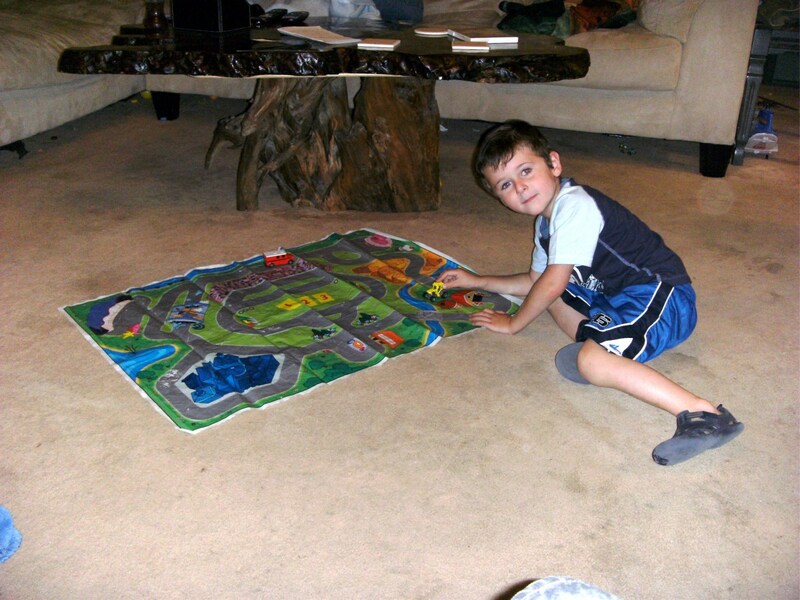 Playing with cars is even more fun when you can build your own road, town or jungle. Younger children, perhaps 3 years old, will gleefully watch the cars go around and around for long periods (assuming they don't take the car off the track and send it under the couch!). 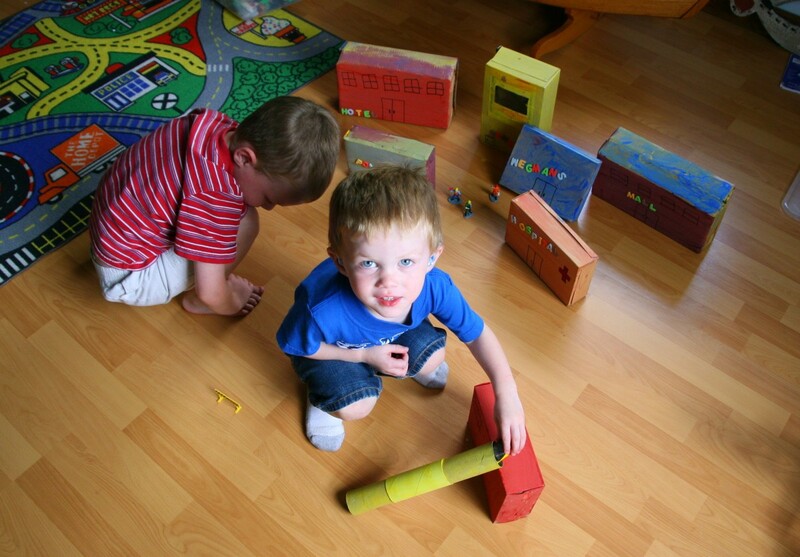 Older children (at 4 to 5 years) can exercise both their imagination and physical abilities in constructing the track. There are other things to build, too. This video shows a homemade car wash, just right for matchbox sized toy cars. Something similar may be just the ticket for the latest "driver" in your family to wash his cars in. 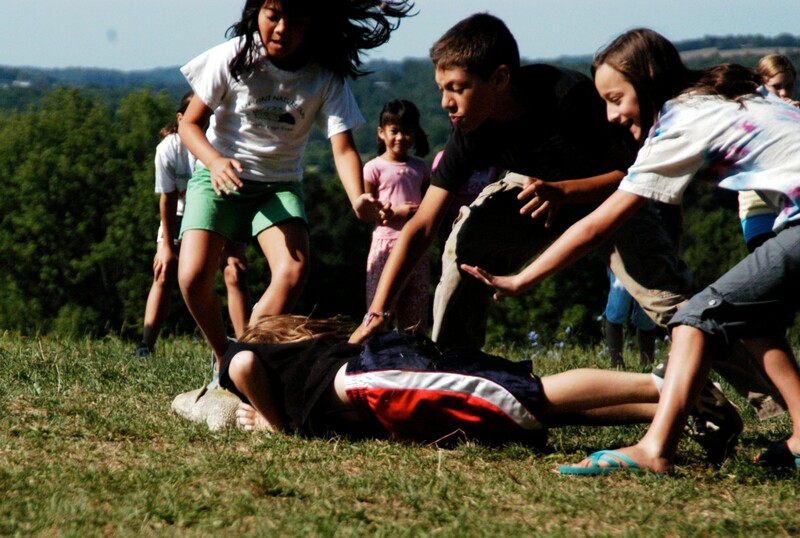 A recent camping trip showed just how far the child in this article had come. From simply crashing cars together as the only thing he knew how to do he now had a large dump truck that was constantly in motion around the campsite, collecting rocks and pine cones to dump. He knows what a dump truck is and has watched one be filled as well as dumped - that knowledge has now been transferred to his play. That is one of the great things that playing with cars does for kids - as they age and their own experience in life increases their play grows with it. It isn't simply a matter of learning some new game or something - their own imagination feeds on their experience and becomes a part of making their play more realistic and more enjoyable. If your own toddler or young child seems interested in playing with toy cars, nurture that interest. Play with them, encourage their imagination as they grow older. It can pay dividends down the road; I'm thinking my grandson will be a famous race car driver one day! Dump trucks like this one are only the beginning in outdoor play. All kinds of construction equipment, farm equipment and fire engines with water to spray with come to mind. Children may often construct whole towns by carving roadways into a mound of dirt, just the right size for smaller matchbox sized cars. I miss all the years of my boys growing up and playing with cars and trucks. 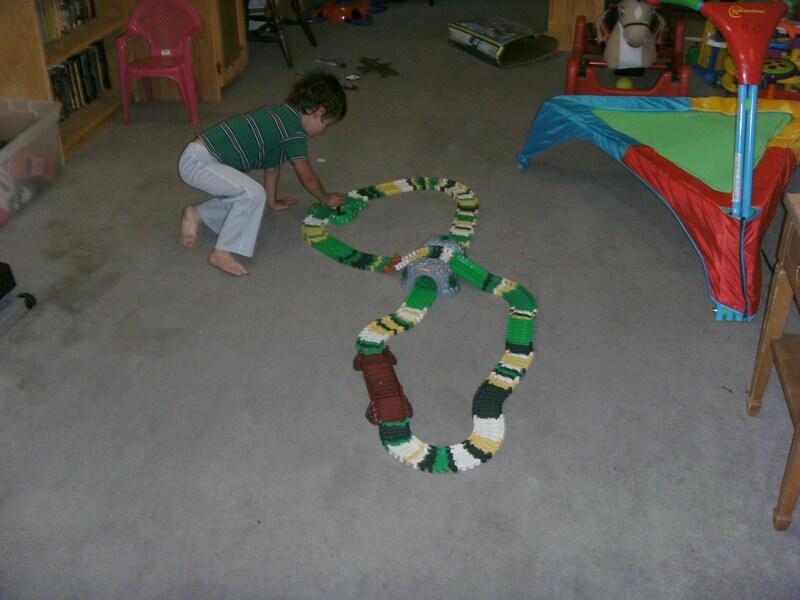 We'd all have fun building the racetracks. One year when my twins were 4 they were playing outside with their dump trucks and one of the trucks ended up in the lake. My husband actually went in and retrieved it. He wasn't too happy as it was in early April and the water was freezing. I look forward to becoming a grandma so I can relive all those fun times again. Enjoyed your hub and the memories it brought back. 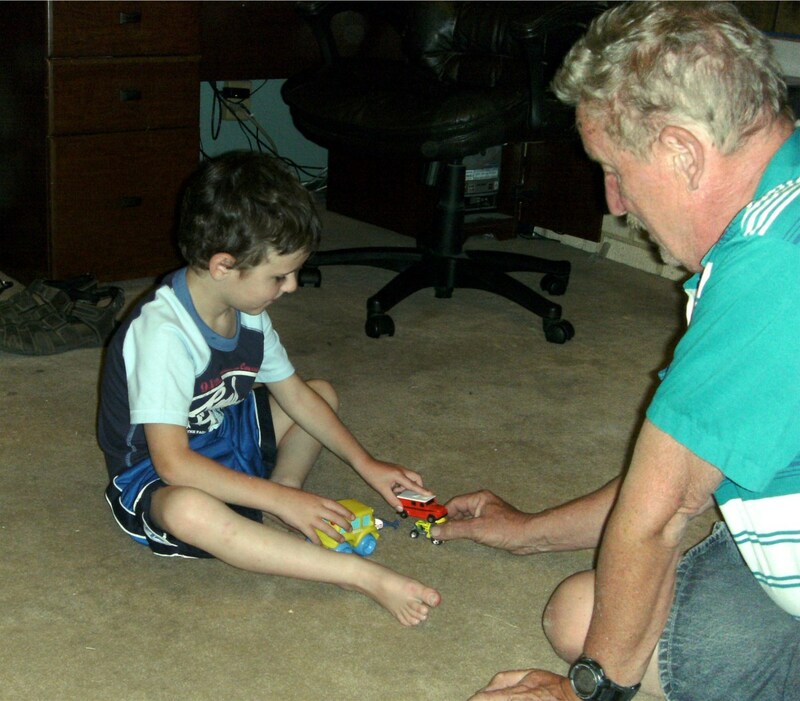 My grandson, now 4, absolutely loves playing with cars. As you say he is beginning to recognize makes (he plays "slug a bug" when he spots a Volkswagon) while traveling. On the other hand my granddaughter, 2, loves to play when big brother and grandpa do, but it's mostly about playing with grandpa and not about cars. It will be interesting to see if she turns to cars to play with as she grows older, or if she will never be particularly interested. Cars bring so much creativity into a child's life. My daughter, who is 5, has always loved playing with cars. 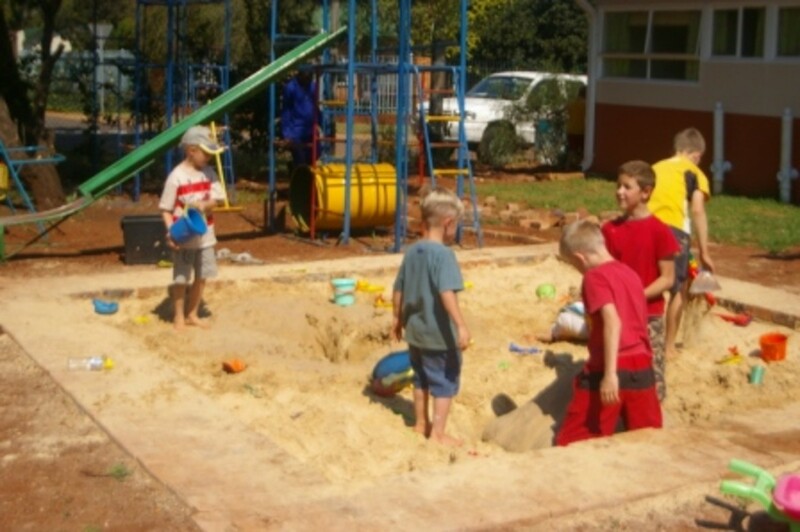 They helped her be able to make connections with other children and increased her social skills. Lately she enjoys looking at other cars on the road while we're driving around town. We turned it into a game and now she can recognize quite a few vehicles. This little game has increased her phonetic awareness and now she enjoys reading the names of cars when we walk through a parking lot! You are so right, as children grow older they naturally increase the complexity of their games. Great hub. Maybe he will - who knows. Mostly, though, I can see his imagination develop almost every day with his play. It changes all the time, always reflecting something he has seen or done recently. We build "mommy and daddy's house" with giant lego blocks, always with a garage and two toy cars. We build roads between daddy's house and grandpa's house. It's fun seeing his experiences come out in his play. My youngest son loved playing with cars. He loved the way they moved, studied the movement. Today he designs products, still fascinated by how objects 'work'. 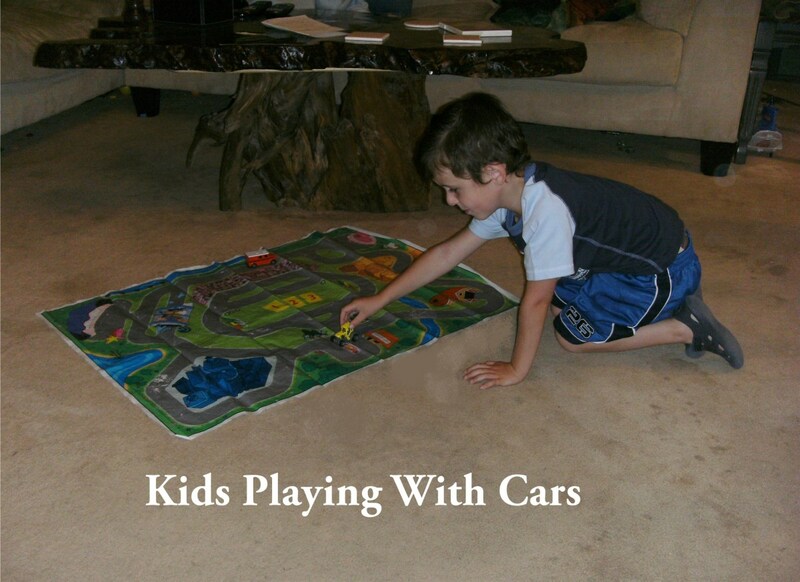 Playing with cars is a great way to develop all sorts of natural characteristics, you are so right. Maybe your grandson will be a winning racer.